I know in an abstract sense that organs aren’t supposed to be hip. In mainstream culture they’re associated with high church pomp, hokey ballgames, cornball restaurants. But I can’t make myself believe that organs aren’t cool because I know better. My dad LOVED playing the organ, the low-down and funkier the better. Black America has a great history of hot jazz and R&B played on the electric organ, especially the iconic Hammond B3. 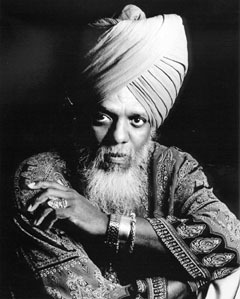 I thought of this recently because of a recent concert on NPR Music from Dr. Lonnie Smith. Go ahead, say he’s uncool. You’re scared, aren’t you? There’s nothing that better evokes late night in the big city to me than a dude really going to town on a vintage organ. Listen to this concert for an idea of what one of the greats can do with this instrument. You can check out this link for a good (though now dated) history of the organ in jazz music. And if you just gotta get more of that sound in you, here’s a recent performance from Medeski, Martin, & Wood.